Montreal police say an employee at the Giorgio Gruppo Roma store on Peel Street near Ste-Catherine Street was shot in the lower body by an assailant who dropped a long gun on the sidewalk as he fled. A man was shot in broad daylight in downtown Montreal at an upscale men's clothing store this morning. 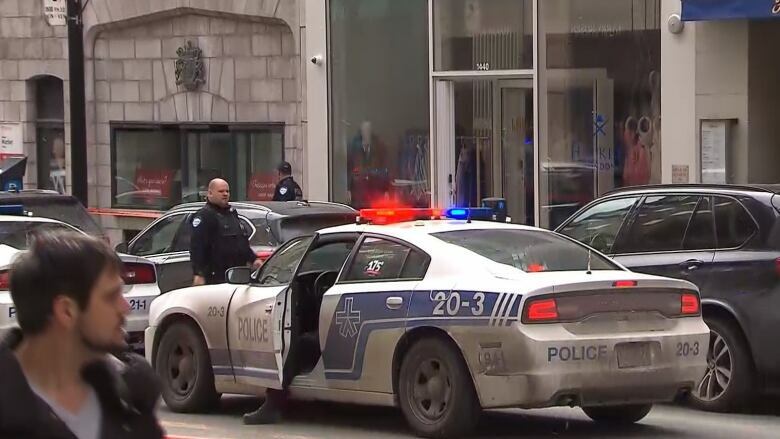 Montreal police say an employee at the Giorgio Gruppo Roma store on Peel Street near Ste-Catherine Street was shot once in the lower body at around 11:30 a.m.. The assailant dropped a long gun on the sidewalk as he fled. 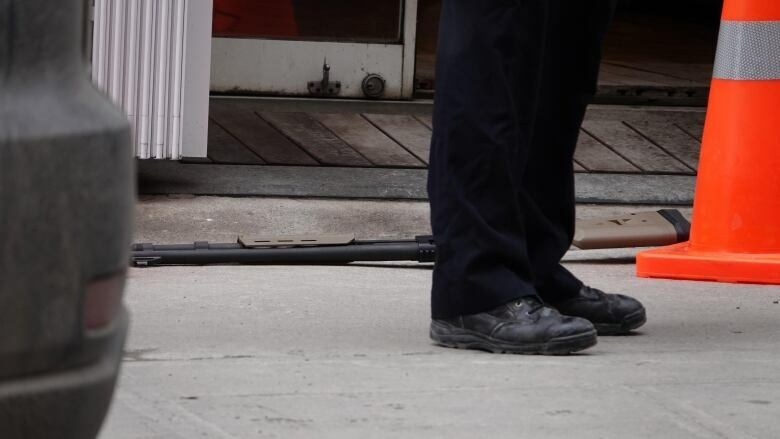 From the photograph, the weapon appears to be a Remington 870 shotgun. Nina Fainman-Adelman, a masters student at McGill University, was walking to catch a bus after her criminology class when she came across the gun lying on the ground. "I assumed it was fake," she said. "I was so close to picking it up because I thought it was a toy or part of a prank video or something like that. I'm so glad I didn't." She snapped a photo of the weapon but didn't notice any other commotion. "There were just people walking by and then suddenly I turned around, and there was an entire police force with guns, and someone grabbed me and told me to go." Police said the shooter was wearing a mask and a bright-coloured vest similar to one a construction worker would wear. They had no other description, and no one in custody. The victim was taken to hospital, and police say his injuries are not life threatening. In March 2017, the same store sustained damage after an incendiary device was tossed through a broken window. Peel Street was closed to traffic most of the day while investigators were on the scene. It was reopen again just before 5 p.m.